Triple H narrates as we hear words from the final four men in the Cruiserweight Classic tournament. Who will be the best in the world? A video package featuring Perkins, Sabre, Metalik, and Ibushi. Gran Metalik vs Zack Sabre Jr.
Really great match. Gran Metalik started immediately with a dive to the outside and springboard senton, and the energy never really died down. Sabre kept bringing new holds and transitions while Metalik brought the speed and high flying. This was so fun to watch and could have gone on twice as long. After the match, William Regal presents Gran Metalik with a medal. Charly Caruso then interviews Metalik in the ring while Andrea D’Marco translates, though Charly doesn’t let Andrea translate what Metalik says. He seems confident though. The Cruiserweights are headed to RAW this coming Monday. Dasha Fuentes asks Ciampa and Gargano how they feel. DIY is cleared to wrestle and they’re ready to go. Their goal: taking out The Revival. Fantastic match. Absolutely fantastic. The first match of the night started hot and never let up, but this one built to an amazing climax. Towards the later part of the match, the tension got to a point where it felt like any move could end it, and they both kept bringing out different moves that flowed and worked extremely well in each situation. The commentators also did a good job of putting over the underdog battle of TJ Perkins versus the favorite to win the tournament, Kota Ibushi. William Regal presents Perkins with a medal and Charly Caruso asks him about his strategy. Perkins says he just has to win one more. Dasha Fuentes asks Cedric Alexander and Noam Dar about their game plan tonight. They say they don’t need a game plan. Sasha Banks, Kalisto, Rich Swann, Jack Gallagher, and Bayley are at ringside. Great match. The energy was very high for this one. Lots of big moves and extended sequences where everyone got involved. Noam Dar and Johnny Gargano in particular had really great chemistry. Daniel Bryan and Mauro Ranallo ask William Regal about the idea behind the CWC. They also welcome Corey Graves who thinks that Brian Kendrick was the highlight of the tournament. TJ Perkins and Gran Metalik make their way to the ring for the final match, but Triple H comes out right before the opening bell. He gets on the mic and says that there can only be one. There can only be one “best in the world.” That one will be the new Cruiserweight Champ on RAW. Great match. Like Perkins’ previous match, this had a great build. There was a lot of emotion built into this match and both guys put everything into this one. There were some breathtaking moments including a hurricanrana from Metalik that took Perkins from the apron to the floor. They psychology was good, as was the finish. Perkins is awarded with the trophy and belt. Caruso asks him what he’s feeling. Perkins talks about being homeless, being inspired, and being an inspiration. His win is for all 32 competitors in the tournament. This was a fantastic end to a fantastic tournament. This is possibly the most important thing that WWE has done in many, many years. I don’t think it’s an exaggeration to say that this tournament is comparable to the Super J Cups from the mid-nineties. It might not change the industry like those did, but it will open eyes and change the course of the WWE (as long as they capitalize on what they’ve done here). 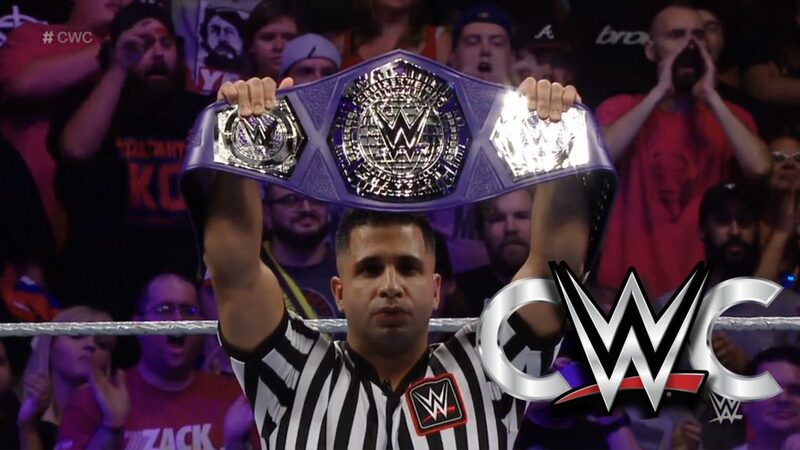 I’d love to go with the crowning of the new Cruiserweight Champ, but this match had more emotion, felt like a bigger surprise, and had a more tense build and finish. Ibushi was expected to get to the finals, so this match really did feel like the final match of the tournament. TAGS: Andrea D'Marco Bayley Cedric Alexander Charly Caruso Corey Graves Cruiserweight Classic Cruiserweight Classic Final Match Cruiserweight Classic Semifinal Match Daniel Bryan Danilo Anfibio Dasha Fuentes Drake Wuertz Gran Metalik Jack Gallagher Johnny Gargano Kalisto Kota Ibushi Mauro Ranallo Mike Rome Noam Dar Rich Swann Sasha Banks TJ Perkins Tommaso Ciampa Triple H William Regal WWE WWE Cruiserweight Title Match Zack Sabre Jr.